Get the capabilities you need with a host of versatile optional features including high-capacity paper trays and stacking accessories. 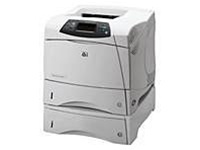 This printer offers faster more powerful printing with a higher duty cycle. Printing is always delivered when you need it with no warm-up time due to an instant-on fuser that prints the first page out in under 8 seconds. 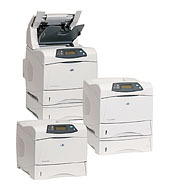 The HP 4350n prints even your largest volume jobs quickly with print speeds up to 55 ppm. With 1200 dpi print quality you can print sharp clear and professionally looking documents. Customize the printer to fit your ever-changing business needs by adding networking and a variety of paper-handling and finishing accessories. Each refurbished printer is refurbished on-site in our own shop lab, allowing us to maintain the highest level of quality control. 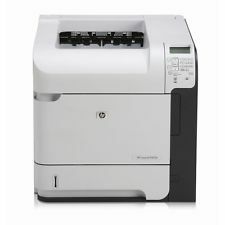 REFURBISHED HP LASERJET PRINTER P4015tn WORKGROUP LASER PRINTER SOLD W/ 6 MONTHS WARRANTY.